In Just Seconds, You CAN Put the WOW Factor into Your Landscape Photographs! We have an unprecedented offer for you today, (and for a very limited time only.) 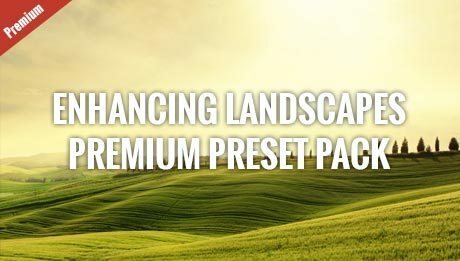 18 Premium Presets by Presetify. These presets come in two collections: “Lush Landscapes” and “Painted Landscapes”. They are being offered for this limited time at 86% off of the normal price!! Presets are a subtle, yet powerful, tool to enhance your landscape photography. We all want beautiful light in our landscape photographs, but sometimes Mother Nature doesn’t cooperate. Presets are a fun, and easy, way to breath some life into those images! I’m sure you’ve seen the ‘swiss army knife’ 1000-in-1 preset packs available all over the Internet. It’s like this – If a preset pack claims to do everything, It probably won’t do any of those things very well. What you really need is a set of presets- for EACH situation. There is no ONE set that “does it all”! Don’t Delay. Enhance Your Landscape Shots Today. This Special Discount Offer Can Only be Guaranteed Today (April 21, 2019) Don't Miss Out! Click Add-to-Cart Now to Get Your Copy of the Enhancing Landscapes Preset Pack + FREE Included Bonus! 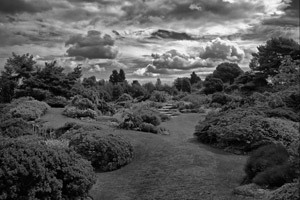 A complete pack of 10 premium Black & White presets designed just for landscape photographs. Please remember, when using presets, to always make your own tweaks. Tweaking the presets for EACH situation is VERY IMPORTANT. Yes, you can get great results from simply clicking and apply. But- the real magic (AND FUN) comes when you make your own tweaks to the sliders and settings after applying the preset. That’s how professionals use Lightroom presets. They tweak and make small, final changes to get the desired results for each individual shot. That’s how you can get your photos to really stand out and uniquely represent your vision! We’re never satisfied unless you are more than satisfied. That’s why we’re prepared to offer you an unconditional 365-day money back guarantee. Go in and use The Enhancing Landscapes Presets and put them to the test. And if you’re not satisfied with your results, we want to know about it. Simply shoot an email to us at cservice@photzy.com stating you’d like a 100% refund. We’ll swiftly and courteously give you every single penny of your money back – no questions asked whatsoever. PLUS we’ll even let you keep the bonus as a gift! Yes. These presets are compatable with Lightroom 4 and up. If you have any problems please shoot us an email. We’ve found an amazing video that will help you install, understand, and use your presets. As well as some tips on how to create your own. We’ll share the link on the download page. The best way to get into contact with us is via email. Send an email to cservice@photzy.com and one of our customer service team members with help you with any queries. You won’t miss out on this special offer, send the email now, and we’ll get back to you with the answers right away!